Three decades of official health advice urging people in England to adopt low-fat, low-cholesterol diets has been “disastrous” for the fight against obesity, according to a new report, which argues that “eating fat does not make you fat”. The controversial report by the National Obesity Forum (NOF) and the Public Health Collaboration, which calls for a "major overhaul" of the country’s healthy eating guidelines, comes after a different study found there are now more adults in the world classified as obese than underweight. Trends in adult body-mass index in 200 countries from 1975 to 2014. In their report, the NOF and the Public Health Collaboration claim that England's official dietary advice is fuelling increased consumption of junk food and carbohydrates, and instead recommend a return to “whole foods” such as meat, fish and dairy, and high-fat healthy foods like avocados. The authors also say that saturated fats do not cause heart disease and full fat dairy foods, including milk, yoghurt and cheese, can actually protect the heart. The above graphic from Public Health England’s Eatwell Guide conveys official recommendations for a balanced diet. So how do other countries advise their citizens to eat? While many countries’ guidelines suggest a similar balance of food groups to the US Department of Agriculture’s MyPlate, there are plenty of regional differences. In Saint Kitts and Nevis, guidelines are portrayed by the ‘sugar mill’, a historic emblem for the country. The walls of the ‘sugar mill’ are made up of seven food groups, which, starting at the bottom, are: vegetables and fruits; fats and oils; sugars and sweeteners; food from animals; peas, beans and nuts; starchy foods. The pyramid format remains a popular way to convey nutritional advice. 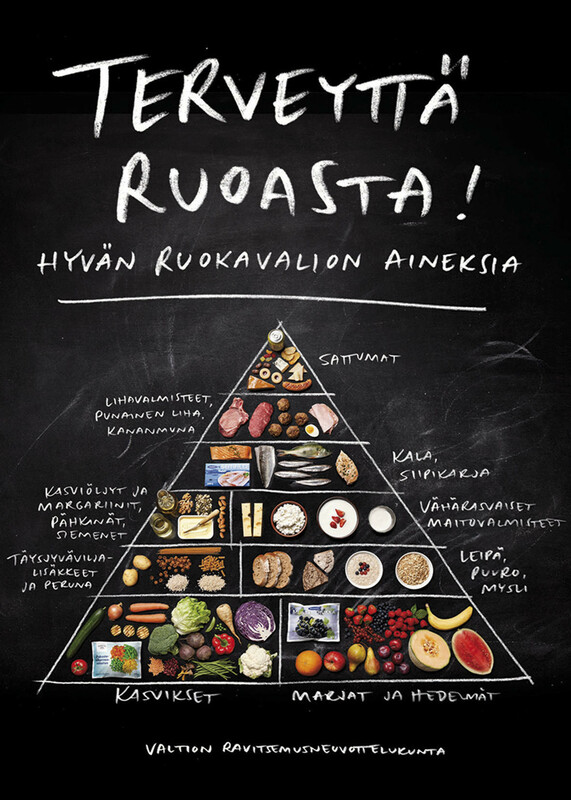 Nutrition recommendations issued by the Finnish government, as shown in the diagram below, include eating fish twice a week, cutting down on salt, and using a vegetable-based spread on bread. 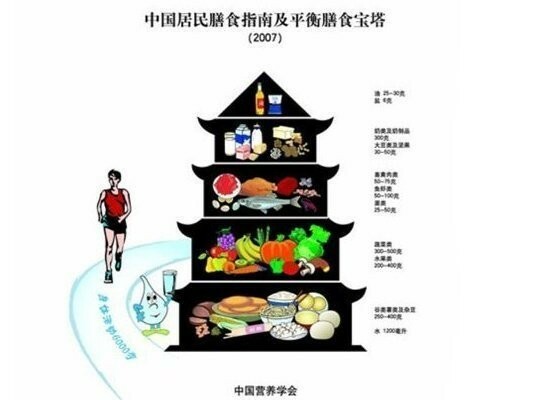 China uses an interesting variation on the pyramid – with a food pagoda that recommends a diet high in sweet potatoes, legumes and soy beans. Salt and oil, at the top, are to be consumed in small quantities. 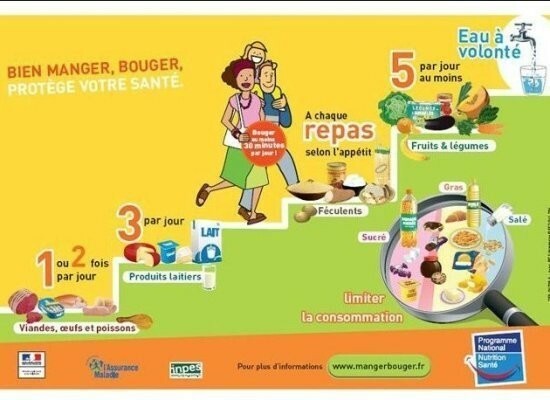 Other creative approaches to depicting dietary advice include Germany’s 3D pyramid, Hungary’s house and France’s food stairs, which recommend five portions of fruit and vegetables daily on the fifth step and just one serving of meat, eggs and fish on the bottom stair. 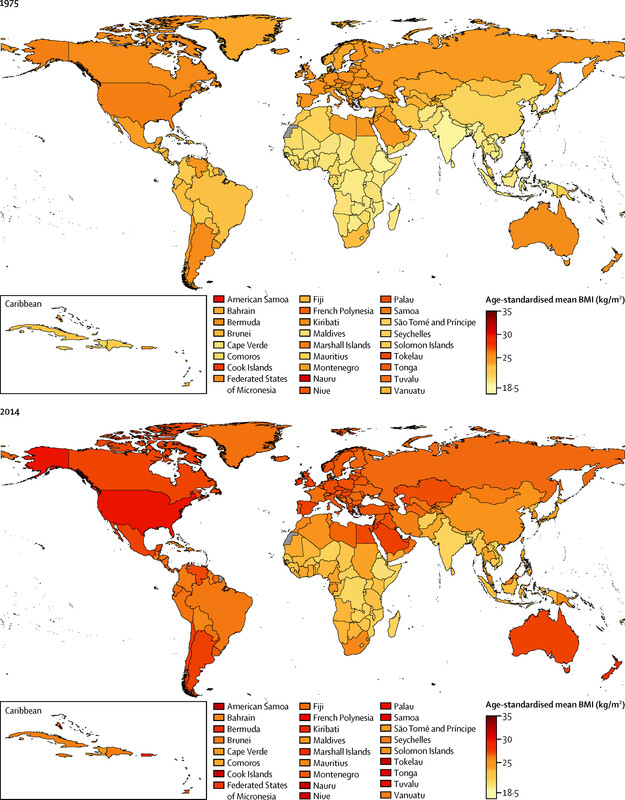 Is the world getting dangerously fat?